It's Feature Friday! I like to do book features on Friday because with the weekend looming, it is often the day of the week when people know they'll have some free time to read and they're looking for recommendations. Feel free to share the post with anyone who you think might enjoy today's featured book. This week I'm happy to present C. Lee McKenzie. 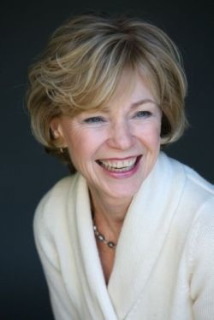 She's a fabulous author and a generous person. 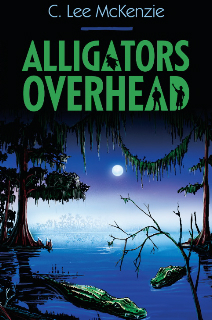 She's taking a step into the middle grade world with her newly released book Alligators Overhead. A note from Lee: There's a free eBook (any format) for one of Kai's followers who leaves a comment and says s/he wants a copy of Alligators Overhead. I'm not big into Rafflecopter where readers have to jump through hoops for a book. If you want to tweet this post or give me a like on my Alligators Overhead page on facebook, that would be wonderful . . . just not required. Great to be here, Kai. You've changed your site since my last visit. It looks wonderful. Thanks, a girl has to rearrange the furniture now and again. I'm so excited that your stepping into the middle grade world with this book. Best of luck to you! Thanks for the giveaway. Better here than in a novel. I found some doozies during editing. Arrrg! Great review Kai. I would love to have this book. Wishing you great success Lee. Love the cover;it's spooky! The cover is great, isn't it? Thanks for stopping in, Susan. Good luck with the book. Lee . It looks so good. Gators, mansions and swamps can't be wrong. I really love the feel of the trailer, too! Good to "see" you, Mike.